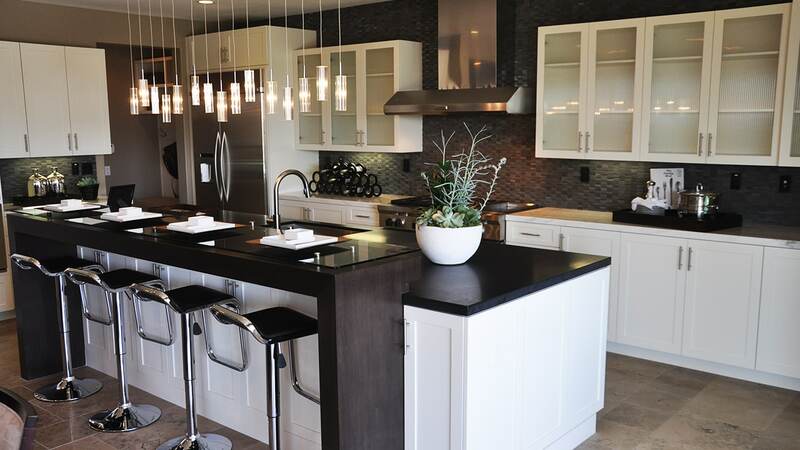 This beautiful newly constructed home in Aliso Viejo has a very well designed kitchen layout, the upper cabinets are designed with glass inserts for a very smart and crisp look. 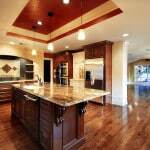 The island is two tier with an eating bar complete with custom glass countertop. 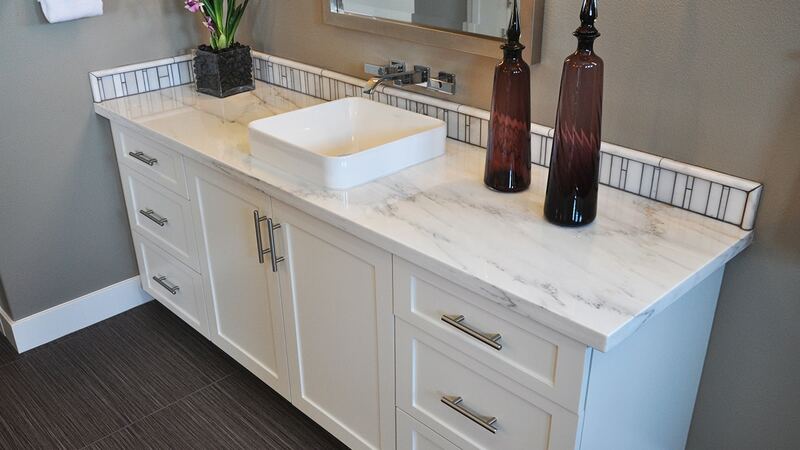 The lower counter is a black quartz. 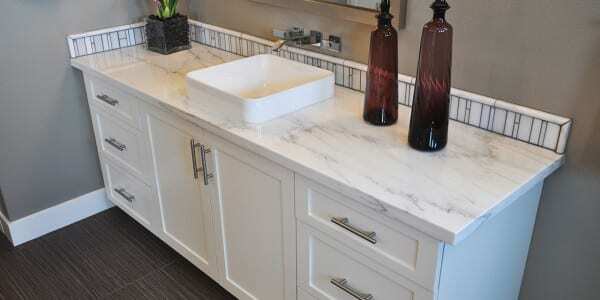 The perimeter counters are Carrera marble with a square polished edge. 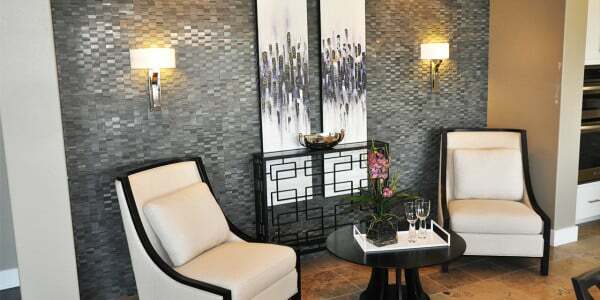 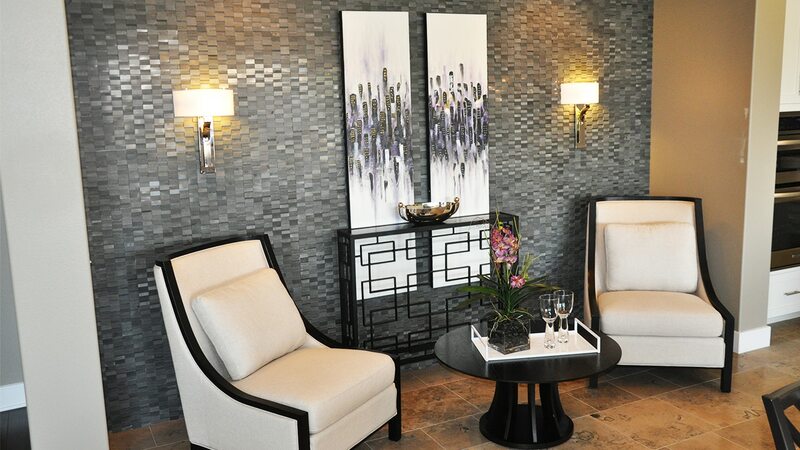 The backsplash and the accent wall in the dining room are dimensional stone mosaic. 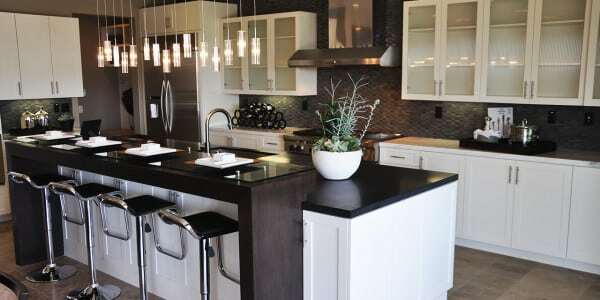 The pendant lights over the island complement the other design features in the kitchen. 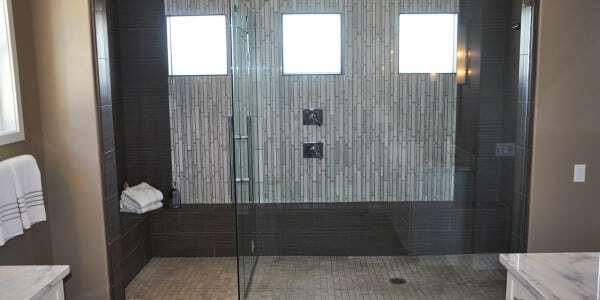 The master bathroom has a very large gymnasium shower and dry off area. 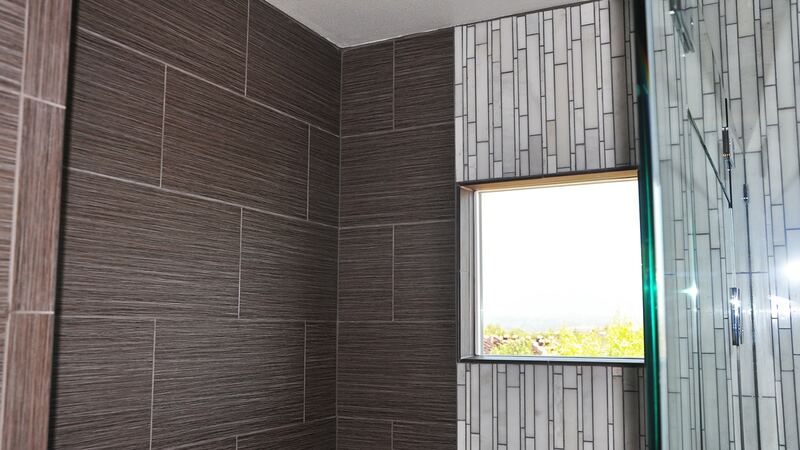 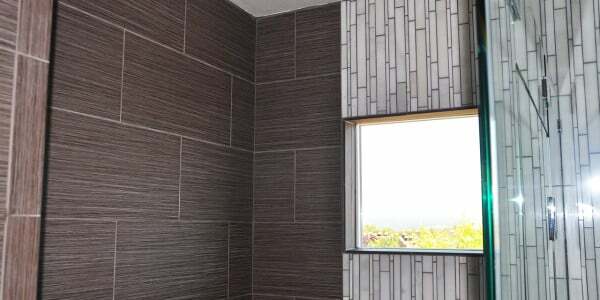 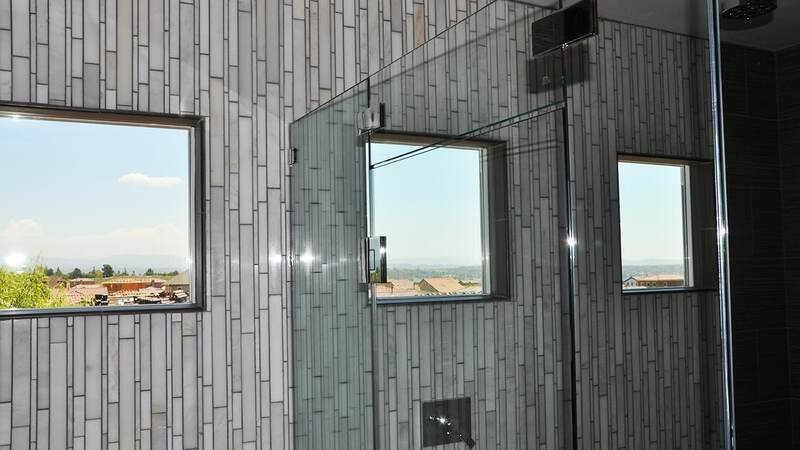 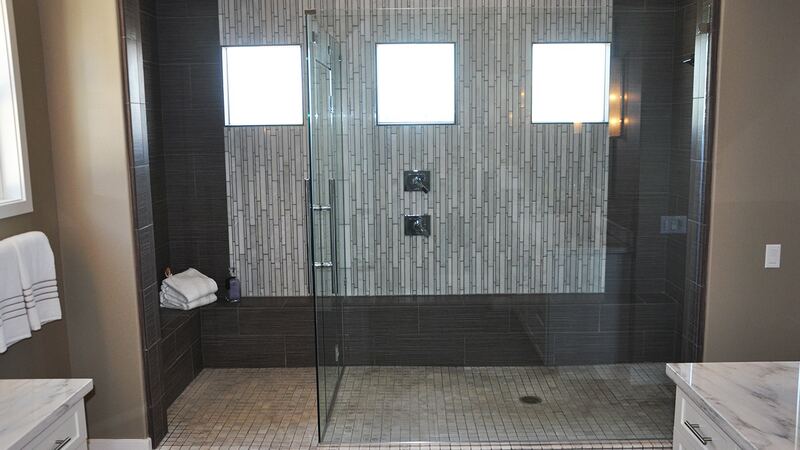 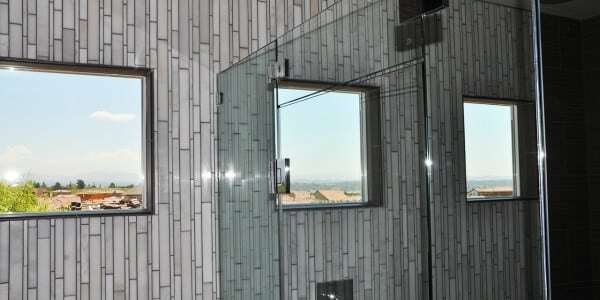 These are tiled in a linear patterned 12×24 and accented by Carrera white mosaic.